This entry was posted in Just Life on May 4, 2016 by Steve Tilford. 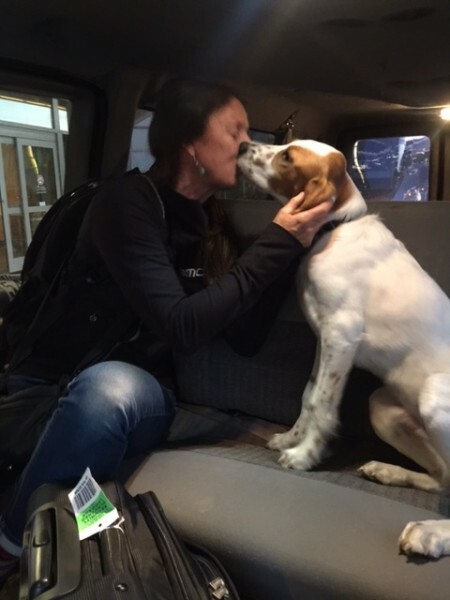 Trudi flew back to Kansas City from Brussels yesterday. She had been working full-on for the past 30 days and now gets a couple days off before having to head out to the Tour of California. Flashback to when she left, the Brussels airport had been attacked a few days earlier, so she flew to Paris and had to drive back to to the BMC service course in Belgium. 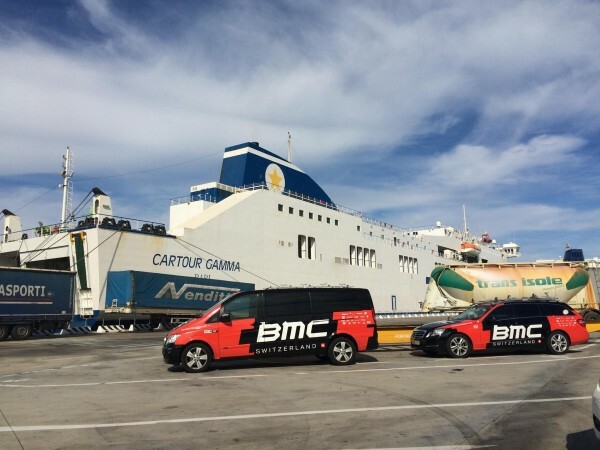 She did a race with the BMC development team and then flew to Pisa and drove a team car to take a ferry to Sicily. She sat on top of Mt. 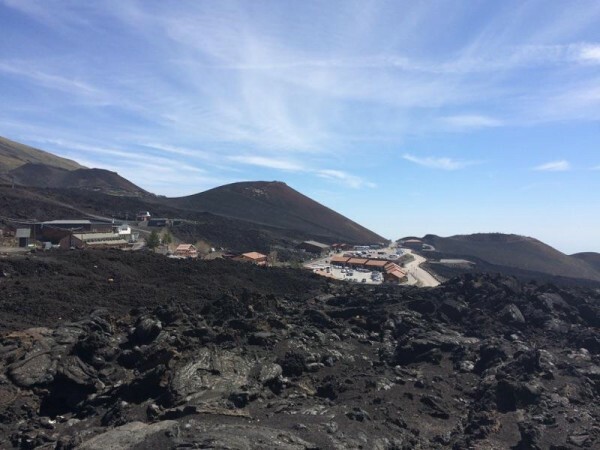 Etna for a couple weeks while BMC shuttled riders in and out for an altitude training camp. She got back on a ferry, drove back up to France and did the Tour de Bretagne. She was working once again for the BMC U-23 guys. An American, Adrien Costa, won the race overall. Pretty stellar result. She went to the Brussels airport on Monday night, expecting chaos, which it was. The airport is open, but under super security. She was flying with Rohan Dennis and Michael Schär, who were going to Colorado to train a bit before California. They were staying in the Sheraton, across the street from the airport. Like a stones throw from the terminal. It still took over two hours in a line outside, to get to the tents set up outside to do security and check luggage. Man, is the world jacked up. Anyway, Tucker was ecstatic to see her. She got up at 4 am this morning, which is par for the course returning from Europe. I bet she can’t wait until she get to California where it is 2 hours earlier. She is usually pretty done, so I doubt the 4 hours sleep last night will do her for the day. It isn’t really that glamorous of a life supporting professional bike racers as one might think. Lots of long work and travel days. Alright, the weather is looking perfect for her couple recovery days back in Kansas. High around 70 and lows around 50. The roses are just starting to bloom, so spring is in full swing. Both Trudi and Tucker were very happy to see each other. Hotel up on Mt. Etna. Ferry going and coming from Sicily. 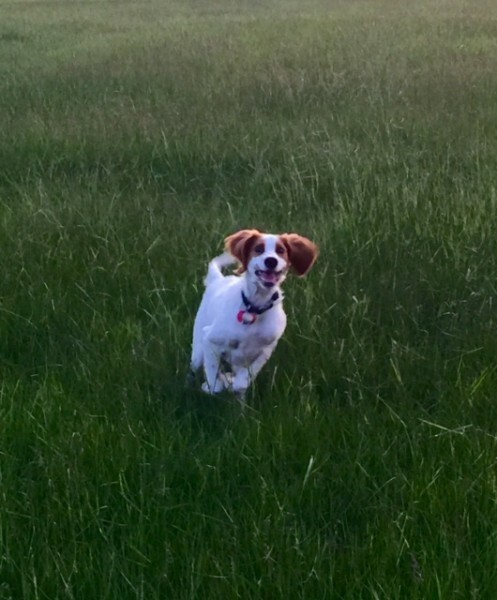 Tucker was running around like a crazy boy at the airport before Trudi’s flight arrived. She should try a roofing job or mud crew or framer or road construction crew. I’ve done all those. I’d take hers over those in a freaking minute. RGTR-She’s done most of those jobs too. Not for a living mind you, but for a few projects. I don’t think you understand the job of professional soigneur, or I don’t think you would be belittling the work. During a race, it is a 18 hour work day. And it is strenuous. Moving up to 25-30 persons luggage from transport to rooms each day. Not including the massage tables, liquids for the riders, and everything else. I would say it is as much lifting as framing, for sure. Maybe not as much as roofing, but a much longer day. Then each soigneur does 2 to 3 massages. It is never ending. It is way easier being a rider at a race than support. Framing is a breeze compared. He’s not belittling the work, he’s saying you’re out of touch for complaining about it. Add jet lag onto an 18 hour day, it’s got to be very difficult. I don’t know about others, but my evil twin comes out when I’m really tired and there’s no way to sleep because I have to keep going for whatever reason. Patience of a saint is required. Not to mention the fatigue from giving massages, is very hard on the hands and arms. I hope she’s planning on transitioning away from massage and other physical work (making connections) because many in the massage professions end up with carpal tunnel…can’t do it forever. Better to transition away from it before it becomes an issue, because by then it can be a chronic condition. RGTR….Go for it. What’s stopping you? bob – do you think I was complaining about it? I was just stating that it is a very hard, strenuous life, which from the outside looking in, might seem super attractive, but that isn’t necessarily the case. I don’t know that Steve’s complaining. I’d characterize it as describing. It’s very difficult for most fans to understand the “production” involved in racing. it’s a ton of work that requires a very giving personality and is very prone to burnout. You got that right, thanks to radical Muslims killing/beheading/maiming innocent people. I deal with several domestic pro teams and I will tell you, beyond any doubt, that no one works harder than the mechanics and the swannies. The amount of stuff they do is simply incredible. The riders are not even close. I would not trade with them for any reason, they work far too hard for my taste. I get exhausted just hearing about my Director “Boyfriend’s” crazy schedule. I seriously don’t know how they do it. Continously traveling–they are rarely home & work exhaustingly long hours not to mention the constant stress & pressure to perform well. It is who and what we are. That makes it all worth it. (Apologies in advance for straying towards politics.) Obama and others are criticized for not saying “Radical Islam” or “Muslim Extremists.” But there are good reasons not to. Any Muslim will tell you that the violence is an abomination of the true teachings of Islam. Those that claim it IS are using the ruse of that abomination in order to manipulate and subjugate people for political, power, or economic purposes. The violence has NOTHING to do with any reasonable interpretation of Islam. However, they WANT us to label them as Muslims because it legitimizes their interpretation and aids in recruiting. Think about the violent extremists who blow up Abortion Clinics. They THINK they are acting in the name of Christianity, but they are wholly misguided. Calling them “Christian Extremists” is insulting to Christianity and bolsters their violent acts. The most Patriotic thing we can do is refer to the violence the way we should: Terrorism. The Sheraton in Paris is actually INSIDE the terminal. Very convenient (and pricey). Try some Wahhabism b4 you talk to the right!